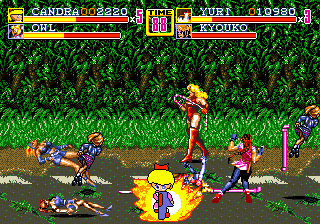 Those Streets of Rage 2 Sprite hacks just keep coming, don't they? each to their own i guess ? I really like Postal Boy, that one made me laugh since I have the franchise on Steam. Although the Streets of Rage ROM Hacks take some time to make, they're so easy to create thanks to the tools that automatically map the sprite tiles for you. I'm kinda surprised that seemingly no one made a Sailor Moon-themed hack of SOR2 yet. Probably because the original SOR2 had only 4 playable characters. I love SOR2 hacks, I hope Yoni Amusement will make more of them very soon . I'd love to get a Final Fight Edition with Haggar, Guy and Cody like the Final Fight One on GBA, and the other characters from other Final Fight from SNES. Perhaps there should be an optional patch for Sailor Mars' hair to use the blue tones and Chibiusa's hair to use the skin tones while her outfit uses the blue tones? "We" tried to separate the colors as far as we could within SOR2's default palette. "We're" kinda burnt out from making these hacks at the moment, and would like to devote "our" time to other projects. But what other themes would you like to see in the future? (Edit to avoid double posting) So I Googled "streets of rage 2 sailor moon", and found a 2-player video of someone playing it with Saturn and Chibiusa. 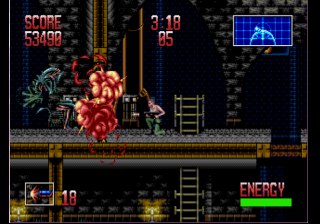 During the Stage 1 boss fight, the background and HUD graphics glitched out like crazy, complete with drastic animation changes such as the top right corner of the scene changing pixels. It even carries over to the Stage Clear screen. That's one thing that makes "us" scared to create more of these. Honestly, "we" don't really know how to fix that. But it might be due to the codes used to make Chibiusa take extra damage from hits, or her inability to safe land from throws and slams like other characters can. I couldn't reproduce the graphic bug in Gens. On more accurate Genesis emulators, a few of the sprites may display the incorrect art unless I regenerate them, and there's this annoying graphic bug with the whole screen in Stage 5-3 that can occur in some hacks based on SOR2 Syndicate Wars, a hack that added Adam, Survival Mode and lets you play as enemies in addition to the heroes. I would hate having to recommend Gens for these hacks. Even though as much as I like Gens, it doesn't load the colors exactly as they are in the ROM(? ), and its built-in AVI recorder crashes the emulator when the game (SOR2 Syndicate Wars) changes resolution during transitions. Gens is what I usually test ROM hacks in the making with, then verify the sprites in BizHawk to make sure they load the correct art.